Winter can be rough for us gardeners. We’d like to be outside–soaking up the sun, planting, watering and harvesting. Heck, I wouldn’t even mind pulling some weeds. But instead, we’re stuck inside. 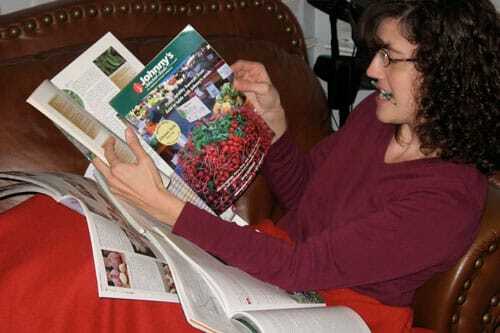 The closest we can get to our beloved garden is reading seed catalogs. A garden gift in the middle of winter is sure to put a smile on your favorite gardener’s face. When you’re shopping for an organic gardener, there are some important rules you need to know. Organic gardeners don’t use pesticides or chemical fertilizers. They view their garden as an ecosystem that includes the soil, plants, water, wildlife, and bugs. 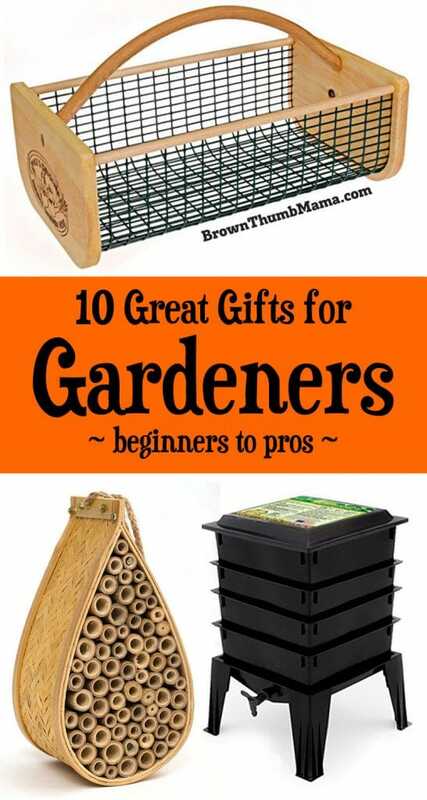 Gifts for an organic gardener should respect the natural ecosystem and tread lightly upon the earth. Here are 10 fantastic gifts for the organic gardeners in your life. 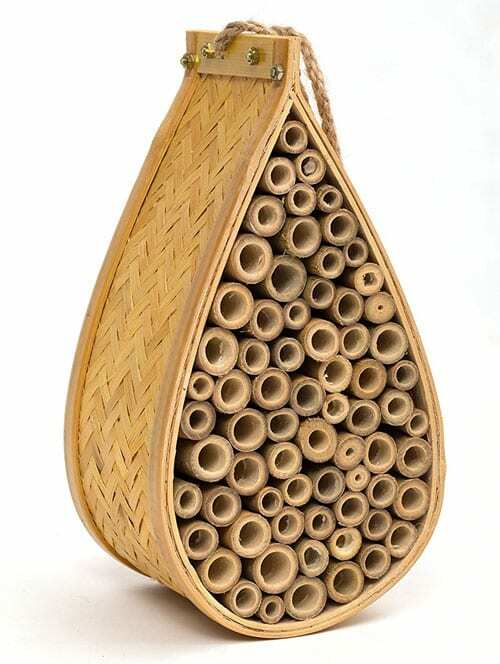 Mason or Carpenter bees are great pollinators, and this beautiful little bee house will help attract them to the garden. Nothing makes a gardener happier than seeing bees and butterflies zooming around, sipping nectar and pollinating their flowers and vegetables. 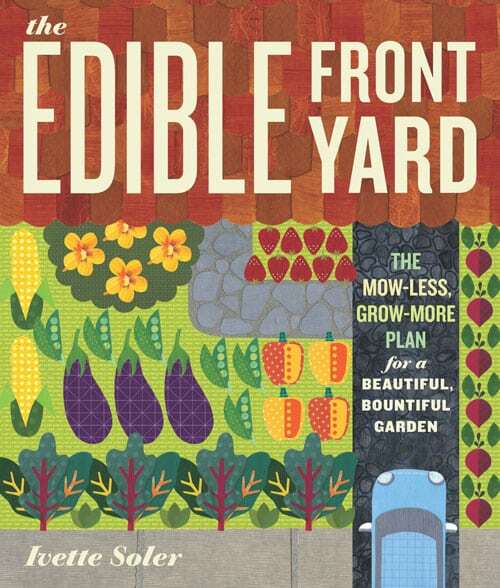 The Edible Front Yard is one of my favorite gardening books. It’s packed with useful, practical gardening advice (whether you’re planting in the front yard or backyard). And if you want to be a garden rebel with veggies in the front yard, The Edible Front Yard will tell you important tricks–as well as what NOT to plant in your front yard. Don’t laugh! You might have to explain this gift, though…it’s for making cutworm forts. You see, cutworms are the bane of every gardener’s existence. They’re little buggy jerks who decapitate and destroy plants, usually right after the seeds have sprouted. 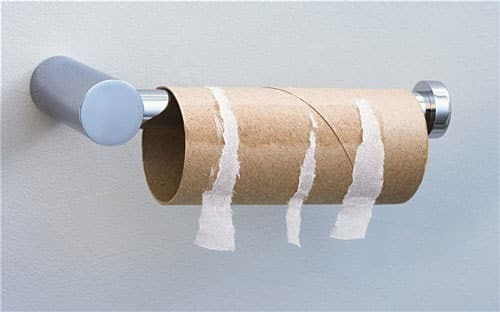 Your enterprising gardener friend can make little TP roll forts to protect their seedlings from the cutworms. (Learn more about that here.) Organic gardeners aren’t going to spray chemicals, so this is a great solution to the cutworm problem. Gardeners of a certain age (cough) may find that our knees are not too happy about kneeling in the dirt. 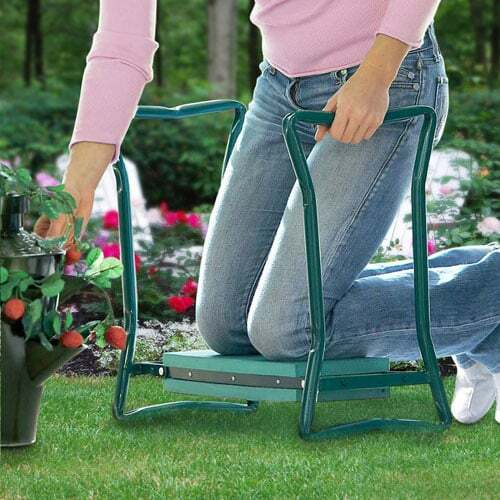 This handy gizmo can be used as a seat, for raised bed gardening, or as a kneeling pad. It folds flat for storage and has a side pocket for tools. 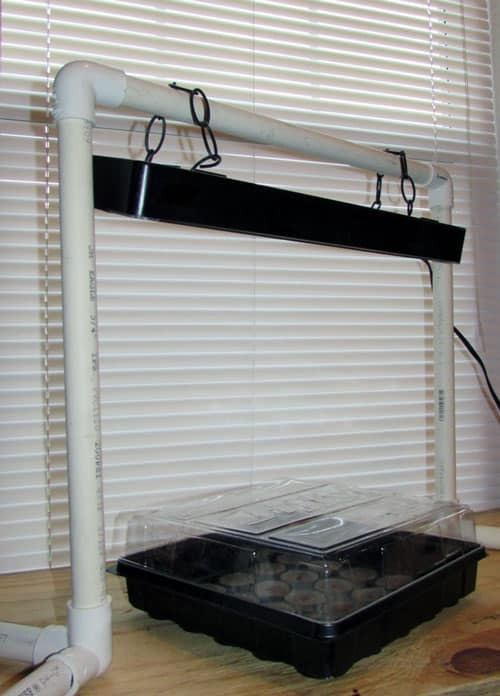 If your favorite gardener is one of those crazy people who starts seeds in January (like me), a seed starting light is perfect for them. It’s easy to make one for less than $10 or you can buy one that’s ready to go. Gardeners love worms! They aerate the soil and process organic matter. Worm poop–officially called castings–is like garden gold. 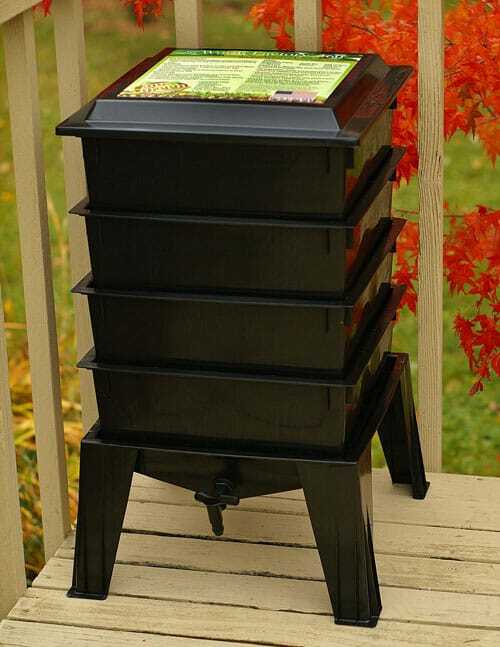 This worm bin tower sits goes in the kitchen or patio. You put food scraps in, along with red wiggler worms, and they magically process it into amazing, nutrient-rich fertilizer. Organic gardeners don’t use chemical fertilizers, so this allows them to produce their own fertilizer and recycle kitchen waste. While some organized gardeners will remember which plants are in which spot, the rest of us may need a little help. 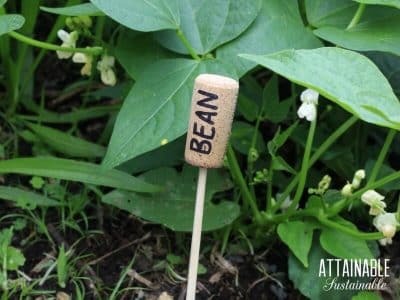 Here are some great ideas for homemade plant markers from my friends at Attainable Sustainable. Nope, it’s not a gardening romance novel. 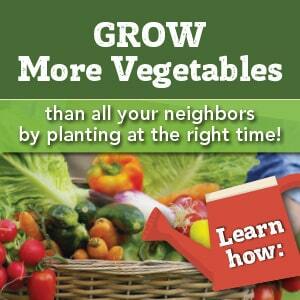 Certain vegetables grow well together, and others should be kept apart. 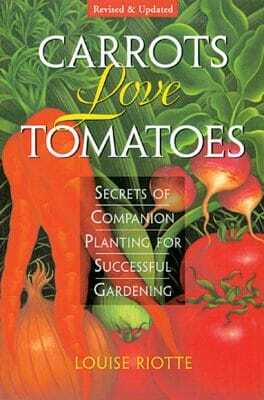 Carrots Love Tomatoes is the best resource for vegetable garden companion planting. Go for broke and get Roses Love Garlic too. Anyone who has gone out to the garden to pick “a couple of things” and come back with armloads of vegetables will appreciate this harvest basket. 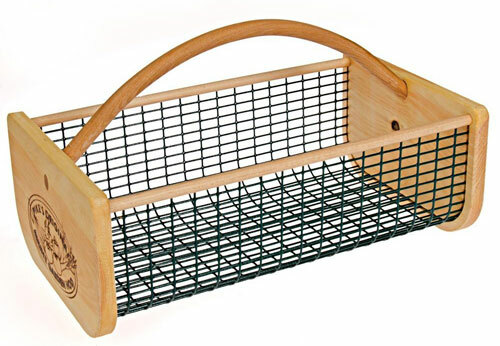 Also called a hod, this basket is made of wire and wood so you can rinse veggies off right in the basket before bringing them in the house. Hummingbirds are a welcome companion in the garden, even if they scold and squeak at you every time you go outside. 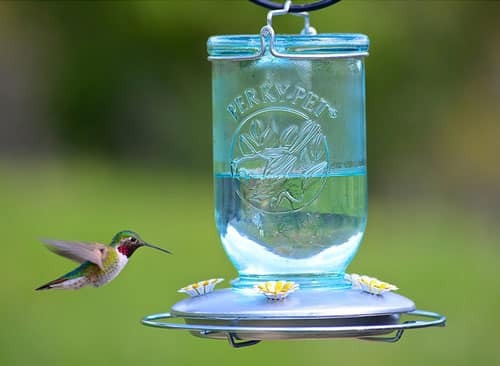 This feeder has an fun, mason jar style and is easy to clean. Print out a copy of my hummingbird nectar recipe and tips to give along with the feeder. Bonus: These funny gardening t-shirts will be a hit with your favorite gardener too. Fellow gardeners, what else would you like to receive?